"Ryan O'Reilly and his band have been on the road for the best part of a decade. Honing their craft on the streets and in the bars of North America and Europe, in the process they've earned and lost band members, money and court cases, bruised and broken bones, instruments and relationships. 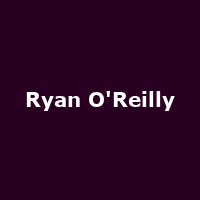 Inspired by Joe Strummer, Dylan and Gillian Welch, O'Reilly's music has a widescreen ambience that nods to Americana, Irish Folk and Heartland Rock, lyrically exploring every nuance of a life well-travelled. "